The real-life incident that Devi S Laskar faced, in a reportedly prejudiced police raid on her house in Georgia, in 2010, never really gained the manner of media attention it deserved. 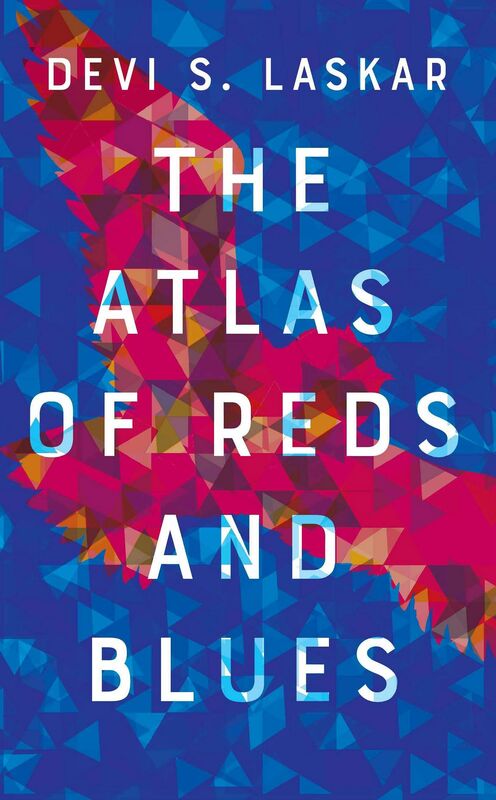 The incident that Devi describes in the opening of her debut novel, The Atlas of Reds and Blues, finds the central character referred to as Mother lying bleeding on her driveway, shot by the police. The scene is as terrifying as it is real, and as many previews have described the narrative, ‘It takes place in a morning; it covers a lifetime’. 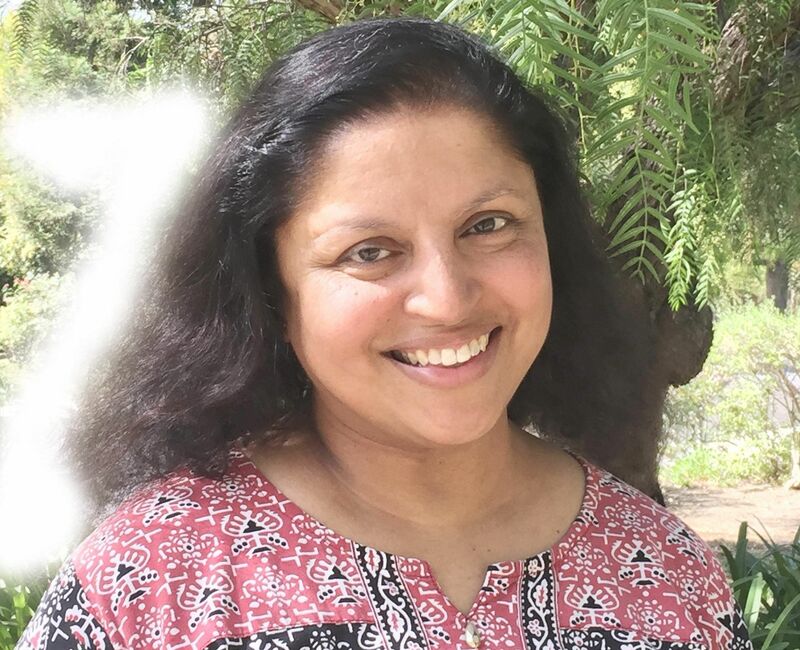 A native of Chapel Hill, North Carolina with an MFA from Columbia University, currently based in the San Francisco Bay Area, Devi poured her thoughts into her book, which is now garnering critical acclaim, even as she picked up a nomination for a Pushcart Prize. The issues that Devi unravels in her story — the complexities of the second-generation American experience, and being a woman of colour in today’s America — have become a hot topic of discussion in the Indian diaspora. I shed tears as I rewrote some passages, not because I was sad, but because I was ticked off that my work was taken and I had to start over. My computer was one of the many items confiscated by the Georgia state police in 2010, during a simultaneous raid at my house and at my husband’s offices. Although the legal matter against my husband was dismissed in 2016, most of our belongings have yet to be returned. Everyone goes through something very difficult in their lives, whether or not it makes it on to the evening news. I try to speak out these days, not just for my family, but also for friends and for strangers. There can be no change without candid conversation and uncomfortable debate. Remaining silent only helps maintain the status quo. For people who might be over-familiar with instances of police brutality, the aspect of racial prejudice here — against an Indian — ends up seeming somewhat feeble in impact, over some of the severe cases we get to see on TV all the time. How difficult was it to toe that line of distinguishing an Indian identity and the issue of racial prejudice at large? I think people are desensitised to violence these days, because they see so much of it on TV or in a video game or read about something horrific in a magazine or newspaper. I also know that it is still very difficult to have candid conversations about racism and misogyny without people feeling defensive or feeling attacked. My hope is that my novel can be that safe space where people can engage in a conversation about what is happening to the Mother and her family and then apply the fruit of those conversations in real life. Once again, silence is not going to work. There can only be positive change through some hard discussions, through diversity of thought. We’ve come so far with stories of Bengali origins in the West, without naming too many precedents. This story, however, is entirely unlike any other in tone, narrative and emotional impact. 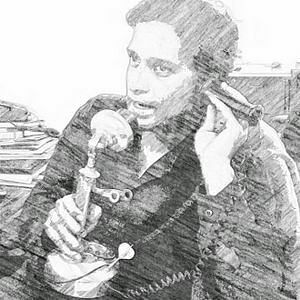 Did you ever feel conscious of the thought that most people expect happy stories of a generally pleasant disposition, preferably humourous, from second and third-generation Indians — and especially, Bengalis — who’ve moved to, and reside in the West. No. Anyway, I think there is a fair amount of humour laced throughout this novel. I think humour is how the Mother character copes. I think the bits of humour also help the readers take a breath. In my regular writing group, I work at times with a screenwriter who introduced me to Aristotle’s Incline — it is a tried-and-true structure used by those writing for the movies. I thought the form fit with the Mother character’s dilemma — she doesn’t have time to muse on anything for very long, so these rapid-fire remembrances are appropriate. And, I borrowed from Aristotle’s Incline when organising my book. The novel I hold as the gold standard is Sandra Cisneros’ The House on Mango Street. She is a poet who wrote a novel with short cinematic chapters. When all the pieces are put together, it is a novel. Yet, there are several parts of her novel that are heavily anthologised in poetry volumes. I wanted to emulate that model. As I mentioned before, I lost most of my work in 2010. For the first year after the raid, I was busy helping my family. cooked a recipe out of Julia Child’s famous cookbook every day for a year. I am a photographer as well as a poet; my friend insisted that if I take a photograph every day and title it — and post it online so that she and others could hold me accountable — then my words would return. I started my #artaday project on June 23, 2011 and I maintain it to this day. My friend was correct. My poetry returned after about a year, and I was able to restart the novel in 2014. It took two years to rewrite this book, and it was very important to me to make use of the raid by making it the contextual glue of the story about this family. How real are the threats of racial profiling, tensions and hatred in the present day? Have you managed to lose some of those fears that are bound to stay with a victim of such an incident? How did you regain a sense of emotional equilibrium in real life? And, what are your most real fears today? I think since the 2016 general elections in the US, we have seen a resurgence of hate crimes, racism, white nationalism, racial profiling, etc — around the world. I don’t think I’ve lost my fears exactly. For years, I’ve had to combat my PTSD and I’ve had to fight for my family. I gain a little courage every day that I speak up about wrongdoing and speak out against injustices, not just for people I know — but for strangers. Tell us a little about the literature you prefer to tuck into bed with, and the journals you like to study. Any major inspirational forces? Also, which newspapers do you prefer to read, and why? I read whatever I can get my hands on: newspaper and magazine articles that provide insight or analysis on such topics as politics, the environment, the arts. I try to read The Washington Post and The New York Times almost every day and I’m looking at California papers each week. I read poetry almost every day. Lately, I’ve been drawn to non-fiction, and I’ve been reading a lot of essay and memoir. My current TBR (To Be Read) list includes Mira Jacob’s new book, Good Talk, and Mitchell S Jackson’s memoir, Survival Math and Ilya Kaminsky’s poetry, Deaf Republic. I love to read a good story, which to me is a tale that immerses me in its own world. I love to read poetry because I’m always interested in the way poets transform the language and compress big ideas into tiny spaces. Immigrant experiences apart, if we may, what other societal concerns, in the present day, would you say need more attention, understanding and empathy of people, across borders? How can a story help people not just to come to terms with their own lives, but also to make sense of lives halfway across the globe? We need more diverse books, and more diverse storytellers. I grew up in a time in America where there were no books that had characters that resembled me. I felt invisible, isolated. After a while, I felt my stories were not as important as the dominant culture’s – and that feeling took a long time to dissipate. We need more stories about how different people live across the globe, their struggles and their dreams. If we can learn about people who appear entirely different from us, then we can also learn about how much we all have in common. This might be a bit of a tough question to end with, but we're going for a specific sentiment here that's often described as distant, diffident, even sanitised, and entirely unaffected - by all of that, we mean the general attitude given to most new-age city-bred urban dwellers. How hardened, insensitive and inured are people getting today to the world of harsh truths, preferring instead to seek out transient pleasures by way of entertainment, or the secure binds of a steady livelihood? Why don't people care about others too much any more? I think people are very isolated in this modern age where everyone has smart phones and other electronics – the devices were created to encourage more communication, but I think the effect is opposite. It is far easier to look at a screen then it is to look someone in the eye and have a conversation. It is easier to play a game on an app than it is to put down the device and go outside for a walk. Without personal connection with others, without personal connection to the outside world, there can be no empathy. It will be easier and easier for people to “other” someone or belittle their experiences, and by dismissing them as different or lesser, it will be easier to turn away and not care.